Since he was a child, Dr. Ricky knew he wanted to become a chiropractor. Initially, he pursued pre-med studies at UC Davis, with hopes of becoming a surgeon. At the time, his mother was on medication for four years due to a heart condition. “Her doctors gave up on her and said there was nothing they could do. The strong medications made her condition worse, and she couldn’t sleep.” After someone recommended that she try chiropractic, Dr. Ricky wondered how that could help his mother’s condition. Dr. Ricky decided to research chiropractic. He attended a seminar and learned about the chiropractic philosophy and science. Dr. Ricky decided to take his mother to see the chiropractor who he heard speak. The doctor gave her adjustments for about a week. Dr. Ricky noticed a massive change in the way she was feeling, walking and sleeping. Her medical doctors couldn’t understand what was happening, and her heart was doing well. After he saw the remarkable effects that chiropractic had on his mother’s heart condition, Dr. Ricky changed course. He decided to become a chiropractor. He finished his quarter at UC Davis and then attended another university to take some classes. Next, Dr. Ricky studied at Cleveland Chiropractic College of Los Angeles. There, he earned his Doctor of Chiropractic. He is also certified in the Webster Technique and went through the International Chiropractic Pediatric Association’s program. Dr. Ricky is also well-versed in extremities adjusting and RockTaping. Dr. Ricky sees patients of all ages and with various conditions. For him, the most fulfilling part of being a chiropractor is seeing their happy faces after an appointment. He loves knowing that they’ve seen a positive change. “I get a ‘thanks’ at least 20 times a day.” One life that Dr. Ricky changed for the better was that of a young boy with cerebral palsy. The doctor told the boy’s parents that their son would never walk. After Dr. Ricky provided treatment, the child was able to walk, no longer bound by his wheelchair. He’s had other patients come into the practice with a walker or cane and leave being able to walk better on their own. Other patients have been women who were trying to conceive. After chiropractic care, they were able to get pregnant. 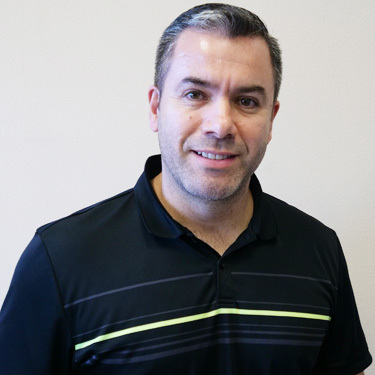 Dr. Ricky loves providing chiropractic as it’s a form of natural, preventative health care that gets excellent results. When he’s not at the practice, Dr. Ricky enjoys spending time with his wife and three children. He likes to watch their sports and be there for them. His son plays soccer, one daughter does gymnastics and another daughter swims and plays tennis. Dr. Ricky stays in shape by working out at the gym and weightlifting. If you’d like to enjoy better health and a higher quality of life, contact Gonstead Family Chiropractic today! We have same-day visits and are open late.